TUCSON, Ariz. - Some big changes could be coming to a favorite Tucson spot. "A” Mountain, or Sentinel Peak, could see lower speed limits, speed humps to slow down cars, and maybe even park rangers. It's part of a long-standing safety drive that a death gave an extra urgency. In October, a hit and run driver hit and killed 73-year-old Richard Ellwanger as he rode his bike on "A" Mountain. 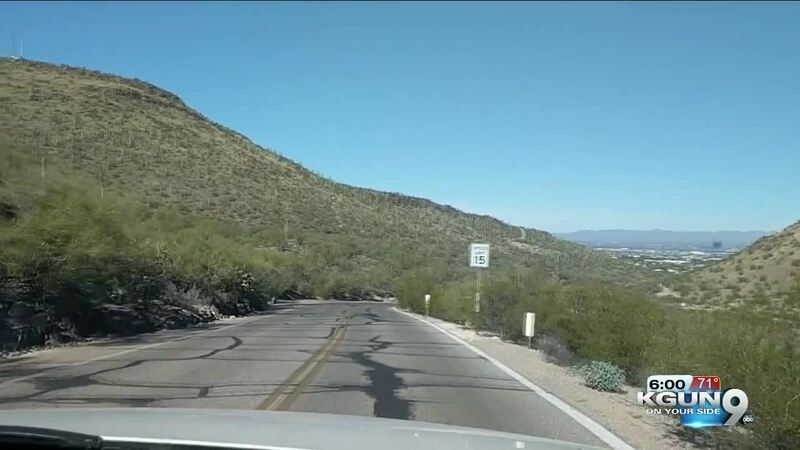 Tucson Police say 20 year old Yanibra Morena was drinking and driving the wrong direction on the narrow mountain road. Richard Ellwanger's death put more power behind a longstanding push to make the "A" Mountain Park safer for cyclists, pedestrians and drivers. "A" Mountain neighbors, and city officials came together Tuesday at Councilmember Regina Romero's office for the latest in a series of safety meetings. "Tucson culture has been to go up there and hang out and drink and so we want to make sure that people are not speeding, says Romero. “They're following speed limits. They're doing safe activities in our parks." The city's already lowered the speed limit in the park from 25 to 15. You can see a detailed draft of the safety proposals at this link. Slowing down traffic is not as simple as just adding more speed bumps. The wrong kind of bump can make a cyclist lose control or put a pedestrian in danger if a driver swerves to avoid it. The city is also considering park rangers for "A" Mountain and other city parks. The proposal calls for Tucson Police Community Service Officers to be a police presence. They can't make arrests but they can call regular officers quickly. Michael Chihak lives near "A" Mountain. He and his neighbors have been working for months to make the area safer. “I think we started out with a lot of enthusiasm, at least in the neighborhood and for users in the mountain and thought we could just walk in here and get things done.” He says. “Well, we came in here with ideas. They developed their own ideas. We've gone from the idea stage ten months ago now to the detail stage where we're really starting to see some things falling into place and getting done and that's a really good thing for us."